Dr. Morssink holds Candidandus and Doctorandus degrees in cultural anthropology and non-Western sociology, respectively, from the University of Amsterdam in the Netherlands, a MPH from Johns Hopkins, and a Ph.D. in Health Policy and Administration from the University of Illinois at Chicago School of Public Health. Dr. Morssink has 30+ years of practice and teaching experience in public health and related fields in the Netherlands, the U.S., as well as in the Republic of Suriname, where he was head of the Department of Planning and Project Management in the Ministry of Health. Dr. Morssink is involved in several community based organizations and is President of the United Nations Association of Greater Philadelphia, Treasurer of the Philadelphia Global Water Initiative, and Secretary of the Global Philadelphia Association. He sits on the board of the Project for Nuclear Awareness and on the advisory board of the Fairmount Water Works Interpretive Center. 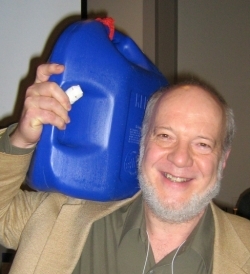 His interests are many and flow from the understanding of public health as an action oriented domain of the world’s political economy; they include the effects of the built environment on health, elimination of health disparities, hunger and urban farming, and the campaign to ban and clear landmines and cluster bombs in communities around the world. Dr. Morssink is, among others, a member of the American Public Health Association, the World Future Society, the College of Physicians of Philadelphia and the Delta Omega honorary society.